Home Does Predator Control Effect Deer Populations? Does Predator Control Effect Deer Populations? Does a liberal predator control program have a positive effect on your land's deer population? A coyote trotting through the Eastern hardwoods is becoming a common sight these days, and hunters are beginning to wonder if the predators are having an effect on deer numbers. In some places, whitetail populations have indeed slipped while coyote populations have increased. Hunters in parts of western Virginia and western North Carolina, for example, have seen success rates fall and in some cases, bag limits reduced. Biologists, however, blame the decline in deer numbers directly on the loss of good habitat, not on coyotes. National forests throughout the East are experiencing a decline in suitable habitat as a result of decreased timber harvest, said North Carolina Wildlife Resources biologist Gordon Warburton. Aside from those public lands, however, few areas are suffering from a lack of deer. One biologist from a southeastern state quipped that he wished coyotes would kill more deer, because hunters aren’t taking enough. After hunters in Pennsylvania voiced concern over the increase in coyotes and an apparent decrease in deer numbers in some parts of the state, biologists with the Pennsylvania Game Commission conducted a lengthy study to determine fawn mortality and predation. The results weren’t necessarily earth-shaking. It found that nearly half of all fawns in agricultural landscapes died from a variety of causes within 34 weeks of birth, while a whopping 62 percent died in forested habitat. Of those that died, over 46 percent were killed by predators. The rest fell to disease, cars and a variety of other causes. Nearly 37 percent were killed by coyotes, but almost as many, 33 percent, were killed by black bears. The study determined that predation rates are higher in forested land than in agricultural areas, possibly because young deer in open forests are just easier to find. They have far less cover and are more vulnerable to predation than those fawns born in the thicker and more diverse habitat found in farm country. But even where predation was higher, it had no effect on overall deer numbers, according to the study. Another study of predation, this one conducted in Ohio between 2001 and 2003, found similar results. Coyotes did kill lots of fawns, but there is no shortage of whitetails and the state’s overall deer population is still increasing. 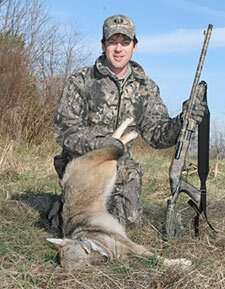 Will Killing Coyotes Help Your Deer Poulation? 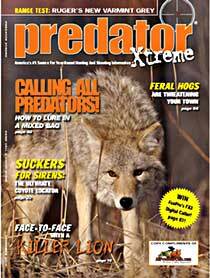 Experts generally agree that unless pressure on coyotes and other predators is intense and sustained, it will have little impact on overall prey populations. Most does in any areas drop their fawns within a short window, a phenomenon known as “prey swamping,” creating a huge food source for bears, coyotes and mountain lions all at once. During that short period when young fawns are most vulnerable, predators do indeed feed heavily on whitetail fawns. However, because the woods are filled with newborn deer, plenty will — and do — survive. So is it a good idea to kill a coyote when you see one? Not if you’re doing it in the name of saving your deer herd. Killing a coyote as it passes under your deer stand might remove one from the population, but there are plenty more to take its place. Mike Bodenchuk, Texas state director for the USDA’s Wildlife Services, said coyotes have a 60 percent annual mortality rate in some cases, whether they are hunted or not. In order to have an impact, it’s vital to remove either 70 to 80 percent of the entire population, or to remove the right coyotes at the right time. He said breeding pairs are responsible for the highest predation on mule deer and antelope, and removing them during the coyote breeding season can help decrease predation and therefore increase fawn survival. 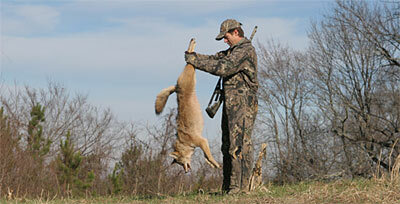 Most hunter-harvested coyotes are taken in the fall and winter as incidental kills by deer hunters. He did note that when prey populations are low, removing coyotes can help deer and other mammals increase in numbers. That’s because deer populations can’t climb out of what Bodenchuk calls a “predator pit.” Their numbers become so depressed that they can’t produce enough fawns to rebuild their populations. Coyotes simply eat too many fawns, keeping the overall deer population low. Randomly killing the occasional predator might help in such extreme situations. However, it’s critical to maintain a high level of predator management for several years in order to have a lasting impact. Researchers working on the National Bison Range in Montana found that deer and antelope fawn mortality increased substantially only a few years after coyote control efforts stopped, because coyotes filled the void left by those taken out of the population. When coyote numbers fall, they tend to produce larger litters to make up for the decrease in adults. And other coyotes will move in from surrounding areas. Killing a couple of coyotes in a single season will likely have little noticeable effect on your deer numbers or the quality of the bucks. That’s not to say shooting coyotes is bad. Anyone who has attempted and succeeded at calling in one of these predators will tell you just how exciting it can be. If hunting them in the name of deer management will keep you in the woods, have at it. But instead of focusing on removing predators for the sake of helping your deer herd, put your efforts into managing the habitat. Give your deer a variety of foods, offer them bedding and fawning areas and manage your herd to reach its full potential through selective harvest.